Here's how it works. People put together deep family histories as a labor of love, and publish them as a book. The Harold B. Lee Library at Brigham Young University collects these books. A dedicated team of researchers indexes and digitizes the family histories -- almost 45,000 of them at this point. And you get to search them online, for free, at the BYU Family History Archives. 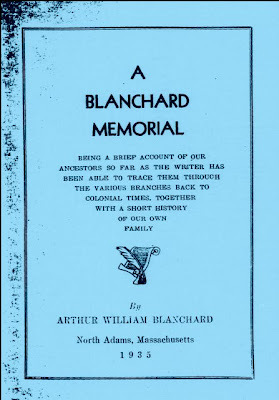 The Surname search will look through the keyword index created during the digitizing process, and find family names that were fairly prominent in the book, and were listed in the index. The Search All option looks (I think) through everything in the index, while clicking on Search Full Text... will look through the full content of the books themselves. Searching can be a little slow (OK...a lot slow) at this site, so hit the Search button, go get a cup of coffee, read the newspaper, then come back and check results. Each search option gives a different set of results. While the Full Text search may seem the most desirable, if it produces too many results to be useful, try one of the more restricted searches to fine tune the output. The Family History Archives isn't just about indexed surnames. You can view the actual original documents in all their glory (text and images). With luck, you'll find significant new information on your ancestors in this rich set of genealogical information. And if you already have a family history written up, you can donate a copy to BYU's collection. Thank you for this wonderful service. But, you failed to inform the public about HOW TO CONTRIBUTE PUBLISHABLE GENEALOGIES to the BYU Family History Archives, with full address. Thanks again. Anonymous...thanks for the idea. The post has been updated.